The table has no drive and just a small lever for locking but the fits are really excellent and both axiis work with that smooth drag that comes with high tolerance fits. That might be a bit overkill in some eyes but at least it's found a use - it put a big smile on my face, I hope it does yours. That looks like it would go right into a Mill vise.....like maybe a 6". I think that's a brilliant example of the advantages of having multiple interests. Beside there being no such thing as overkill when it comes to securely and accurately holding a "workpiece" such that both hands are free. Its a table for a Taylor Hobson engraver - used to mount the item being engraved at a compound angle. 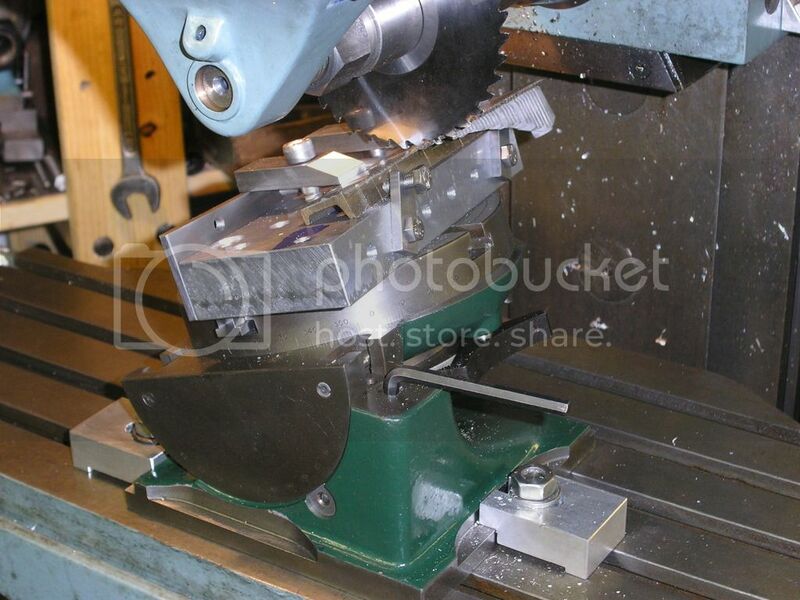 They do some very short rotary tables, which are equally desirable, to make it easier to engrave at an angle . 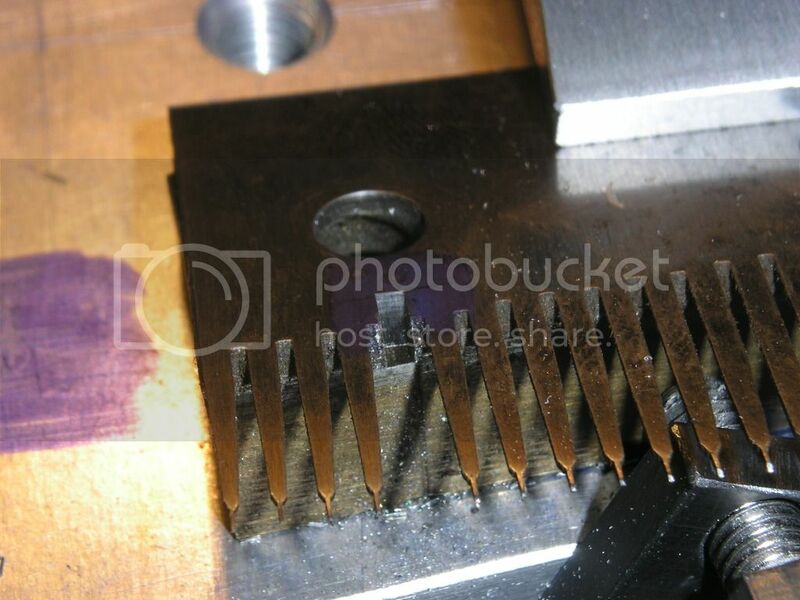 I have the same one myself, I modified it slightly to accept some holding down clamps on the milling machine. 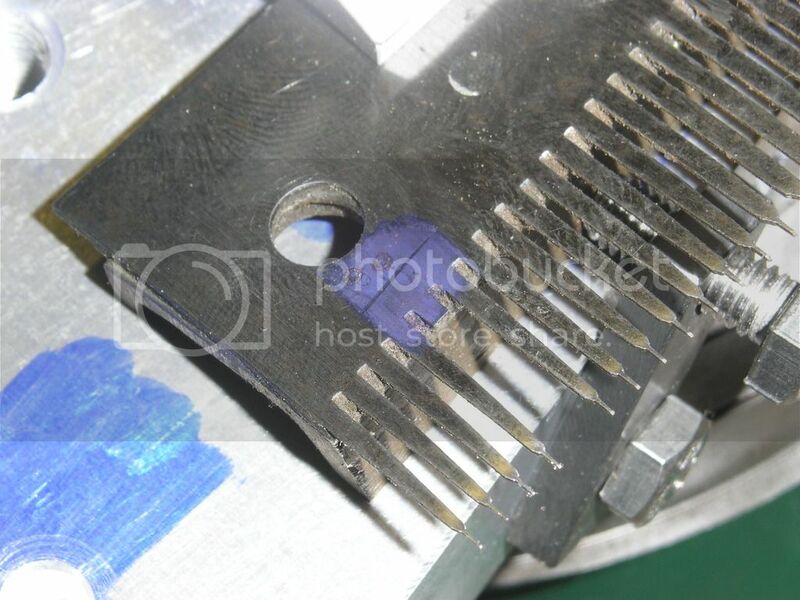 Jo is correct about it being for an engraving machine, but I use mine with a special fixture for slitting musical box comb bases ready for fitting new teeth when they have been broken off. That's a very nice SE5a you're making there, what scale is it? I hope you will post a photo when finished. Hope you are doing fine - Dave, perhaps a little big for that but first one needs a mill big enough for a 6 inch vise anyway . Phil - it'll be easier for me to mount it to a plate - facility for deep side milling long gone. Steve - it's 1/32 scale and one of the Wingnut Wings models. Yep, will do a pic or two - should be finished this week. I miss my VanNorman!..... that mill was big enough!!!... ah well. Tug, that sucker has more uses than a Swiss Army knife, great bit of kit. It looks like an excellent workable tool. Using it for rigging your model aircraft is a great idea. By the way I too have a plastic distraction now and then. Actually as a kid that is how I got into this hobby. 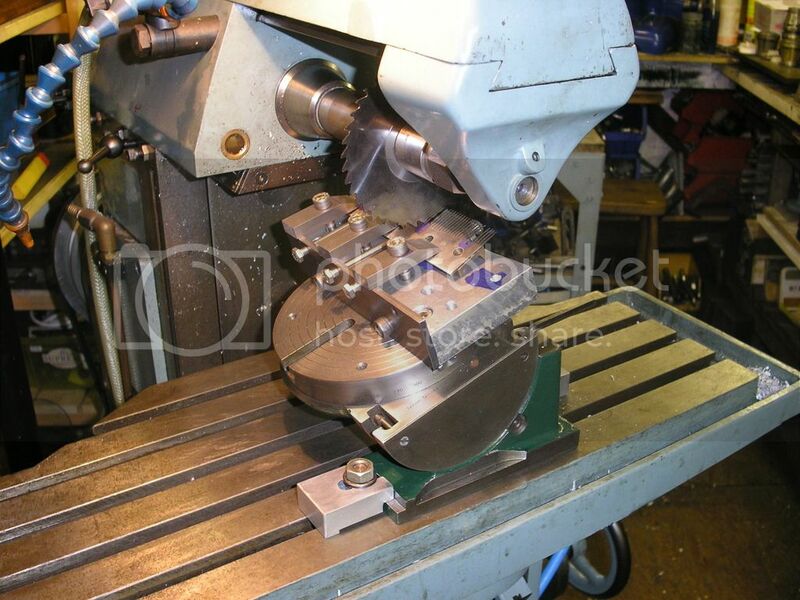 Very nice bit of gear is a tilting rotary table, I reckon! Thanks once again for your advice and encouragement. My best piece of "repurposing" would be my Unimat 1s - I'm sure you remember them. They were the pretty useless "toy" reconfigurable lathe/mill/drill machine with plastic chucks that were cynically marketted with pictures of precision metal turning back in the 80s. I had two of them - one I won in a club raffle and the other was given to me by someone who had given up on it. From the various bits I made this - a spot welding fixture to fit new elements into the Glowbee flat-coil plugs we used in FAI-F3D pylon racing engines (a new one for every race; they were about $3.50 each in bags of a hundred in 1995). The sprung-loaded holder takes an electrode which was turned from a standard cupro-nickel welding electrode, and the glowplug holder had a copper shim earthing plate on one jaw. The jig allowed me to place the two spot welds in precise locations without risk of damaging the tapered seating face. The welding system just used 10uf of metalised paper capacitors charged to 12v from a car battery and then discharged through the electrode. The platinum-iridium-rhodium wire elements were annealed (electrically) and then wound to shape on a former before trimming to length. The ~1/2" piece of 0.008" wire in each plug cost about £0.80 (around $1 in colonial money) although I managed to get a 20% scrap-reclaim discount from Johnson-Mathay (the only company in the UK who supplied it) by sending back the elements from "dead" glowplugs.